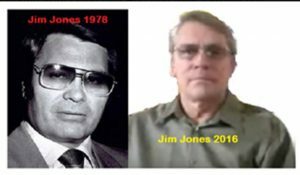 The Jim Jones Story – Kent Hovind v. Robert Baty – The Great Debates! “Jonestown” was the informal name for the Peoples Temple Agricultural Project formed by the Peoples Temple, an American religious organization under the leadership of Jim Jones, in northwestern Guyana. It became internationally notorious when on November 18, 1978, a total of 918 people died in the remote commune, at the nearby airstrip in Port Kaituma, and in Georgetown, Guyana’s capital city. The name of the settlement became synonymous with the incidents at those locations. A total of 909 Americans died in Jonestown, all but two from apparent cyanide poisoning, in an event termed “revolutionary suicide” by Jones and some members on an audio tape of the event and in prior discussions. The poisonings in Jonestown followed the murder of five others by Temple members at Port Kaituma, including United States Congressman Leo Ryan, an act that Jones ordered. Four other Temple members committed murder-suicide in Georgetown at Jones’ command. While some refer to the events in Jonestown as mass suicide, many others, including Jonestown survivors, regard them as mass murder.All who drank poison did so under duress, and more than a third of victims (304) were minors. It was the largest such event in modern history and resulted in the largest single loss of American civilian life in a deliberate act until September 11, 2001. In recent years, the Jonestown massacre has been the subject of several conspiracy theories.